As far back as 1860, Britain’s first mosque was recorded in the register of religious sites, at 2 Glyn Rhondda Street, Cardiff, Wales. Nearly three decades later, Britain’s first mosque was established as the Liverpool Muslim Centre, by Imam Abdullah Quilliam in 1889. At the same time, the first purpose built mosque was erected at Woking in Surrey, known as the Shah Jahan Mosque. Since then, there have been more and more mosques being established. Some are converted from other buildings and some are purpose built. In the 1980’s many of the purpose-built mosques began to emerge. Some mosques have become tourist landmarks for visitors to Britain, like the Woking Mosque and the London Central Mosque. 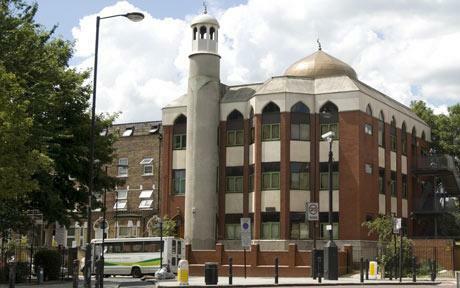 Currently, there is an estimate of around 1200 mosques in the UK. These are spread throughout the cities and towns. Moving with current concerns on the environment, there has been a student-led initiative of establishing an eco-mosque in Salford (Greater Manchester). Meanwhile, Kingston and East London Mosques have developed urban beehives. Regents Park Mosque or the London Central Mosque (also known as the Islamic Cultural Centre (ICC) or Regent’s Park Mosque) is a mosque located near Regent’s Park in London, United Kingdom. It was designed by Sir Frederick Gibberd, completed in 1978, and has a prominent golden dome. The main hall can accommodate over 5,000 worshippers, with women praying on a balcony overlooking the hall. The mosque holds a chandelier and a vast carpet, with very little furniture. The inside of the dome is decorated with broken shapes in the Islamic tradition. There is also a small bookshop and halal café and library on the premises. The mosque is joined to the Islamic Cultural Centre (ICC) which was officially opened by King George VI in 1944. The land was donated by George VI to the Muslim community of Britain in return for the donation of land in Cairo by King Farouk of Egypt and Sudan on which to build an Anglican cathedral. It is close to one of Central London’s stations – Baker Street Station. It therefore attracts many visitors, both Muslims and non-Muslims. Every year, the mosque invites famous religious figures to speak and give lectures. 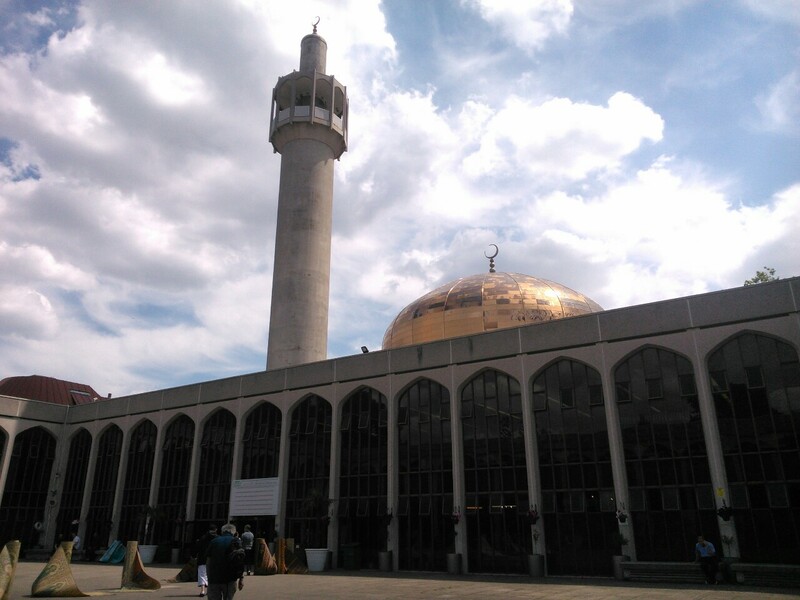 Finsbury Park Mosque is serving the local community in Islington and surrounding Boroughs of North London, and working with everyone to promote dialogue and understanding in our multi-cultural society. It offers various teaching classes, hosts Ramadan Iftars (‘feast’ for breaking fast) and each year, opens its door for #VisitMyMosque day with hundred of visitors attended in 2017, including the leader of the Labour Party Jeremy Corbyn. On its website, it gives access to online educational resources, such as ‘The Character of the Prophet Muhammad (PBUH)’. The chairman of Finsbury Park Mosque is Mohammed Kozbar. He is also the Vice-President of MAB. Mohammad Kozbar has helped to transform Finsbury Park Mosque to a moderate place of worship. He is actively involved in intra-faith and interfaith work and appears on many social media websites and newspapers where he shares his views on political affairs at home and abroad. The Muslim Welfare House(s) can be found across the UK: London and Sheffield. Birmingham Central Mosque is the second purpose built mosque in the UK, which was built in 1969 and opened to the public in early 70’s. It is one of the most recognized religious buildings in the city of Birmingham and a result, a vast number of people visit this mosque every year. It receives a large number of visitors from schools, colleges, universities and other institutions wishing to find out more about the mosque and the Islamic faith for projects and studies. Birmingham Central Mosque is nationally known for reference and advocacy of Muslims and Islamic Issues.